What Is the Difference Between a Physician Self-Referral and a Kickback? For physicians and other health care providers, navigating the statutory and regulatory restrictions on billing for reimbursements from Medicare, Medicaid, Tricare, and other government benefit programs presents some of the greatest challenges – and risks – when it comes to legal compliance. Among the laws that apply are the Physician Self-Referral Law (also known as the “Stark Law”) and the Anti-Kickback Statute, each of which imposes its own unique set of requirements, limitations, and penalties. Whether you are preparing to open a practice, you are concerned about the effectiveness of your existing practice’s compliance program, or you are being targeted in a federal health care fraud investigation, understanding the operative provisions of the Physician Self-Referral Law and the Anti-Kickback Statute is important. It is also important to understand the differences between these laws, as determining which law (and which set of exceptions and safe harbors) applies to any particular set of circumstances is the first step toward avoiding federal prosecution and the potential for civil or criminal liability. The Stark Law and the Anti-Kickback Statute are very different in their scope of applicability. While the Stark Law applies only to physicians, their immediate family members, and health care entities with which they have a “financial relationship,” the Anti-Kickback Statute applies to all health care providers and their personnel. Additionally, while the Stark Law applies only to services billed through Medicare and Medicaid, the Anti-Kickback Statute applies to billings submitted to all federal health care programs. The Stark Law is further limited in that it applies only to referrals for “designated health services,” while the Anti-Kickback Statute contains no such limiting language. 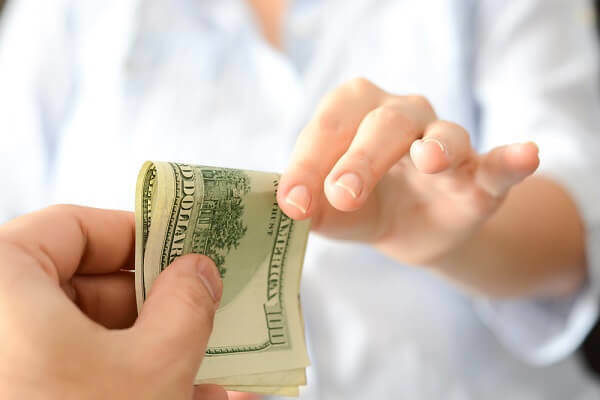 Under the Anti-Kickback Statute, health care providers and other companies can be prosecuted for offering, paying, soliciting, or receiving improper remuneration in connection with any federal program reimbursed services, equipment, or supplies. The Stark Law is a “strict liability” statute. This means that proof of intent to engage in an unlawful self-referral transaction is not necessary to establish a violation of the law. If federal prosecutors can prove that you either (i) provided an unlawful self-referral as a physician, or (ii) improperly billed Medicare or Medicaid for unlawfully-referred designated health services, this alone is enough to trigger civil liability. Under the Anti-Kickback Statute, however, proof of intent is a necessary element of a civil or criminal offense. This means that the violation must be “knowing and willful.” However, even this does not provide as much protection as may initially appear, as “constructive knowledge” (willful ignorance or being in a position where you “should have known” of a violation) is enough to establish an Anti-Kickback Statute violation. Additionally, while federal prosecutors can pursue monetary penalties based on the strict-liability provisions of the Stark Law, in order to seek program exclusion and enhanced monetary penalties, prosecutors must establish intent. Similar to the Anti-Kickback Statute, intent can often be inferred from the circumstances surrounding a transaction and prosecutors will routinely allege intentional violations in order to seek maximum penalties. Another key differentiation between the Stark Law and the Anti-Kickback Statute is the extent to which exceptions and safe harbors are available to insulate health care providers and other entities from statutory liability. While the Stark Law only lists three specific exceptions, regulations passed subsequent to the law’s enactment have significantly expanded the number and types of transactions that are exempt from self-referral liability. The Anti-Kickback Statute includes both exemption and safe harbor provisions. And due to the significant breadth of the Anti-Kickback Statute, the liability protections under the statute are more significant as well. While the Anti-Kickback Statute includes a number of provisions that mirror (or closely resemble) the Stark Law’s exceptions, there are also a number of unique safe harbor provisions under the Anti-Kickback Statute. Finally, while the Stark Law and Anti-Kickback Statute are often discussed in tandem (and, indeed, have some important similarities), self-referrals and kickbacks involve different types of transactions under federal law. A self-referral involves referring a patient for “designated health services” to an entity that the referring physician owns (wholly or in part) or with which the referring physician has a financial relationship. An illegal kickback involves remuneration paid in exchange for any referral for patient services, equipment, or supplies for which payment is made under a federal health care benefit program. Additionally, under the Stark Law, only improper referrals and claim submissions can trigger liability. However, under the Anti-Kickback Statute, any attempt to offer or solicit a bribe or unlawful referral fee can be enough to support criminal charges. Speak with Federal Health Care Fraud Defense Attorney, Nick Oberheiden, Ph.D.
Dr. Nick Oberheiden is a federal health care fraud law defense attorney who has a significant record of success in Stark Law and Anti-Kickback Statute investigations. If your business or practice is being targeted by federal authorities, Dr. Oberheiden can help protect you against unwarranted civil and criminal penalties. To discuss your case with Dr. Oberheiden in a free and confidential consultation, call Oberheiden, P.C., at (888) 519-4897 or request an appointment online today.